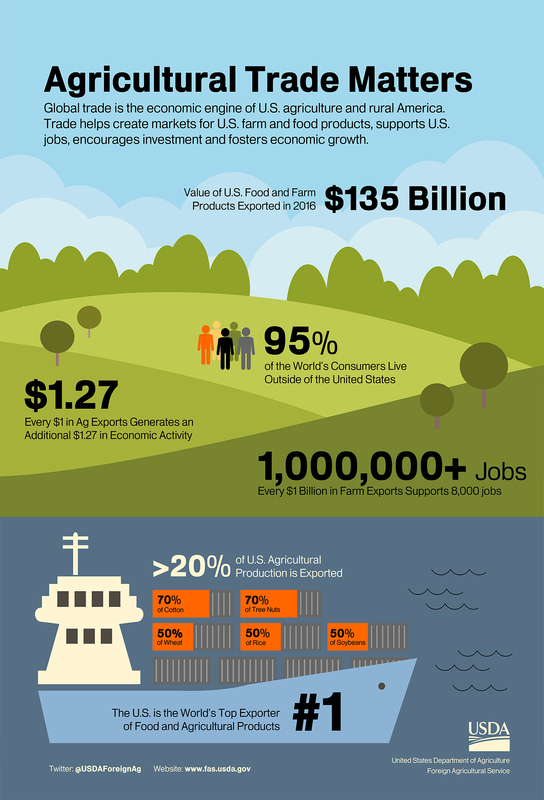 U.S. agriculture depends on international trade. More than 20 percent of U.S. farm and food products are exported. Those exports support more than one million U.S. jobs and generate much-needed economic activity across rural America. Line graph showing the growth of U.S. agricultural exports and imports in the context of international free trade agreements.